Regular readers are used to me discussing things about Hodo Global and RYZE.Ai and how you can make money trading currencies by utilizing them. In addition, I am now adding a series on basic trading tools for people who are interested in learning to trade on their own. The vast majority of people who venture out on their own to trade in the Forex market lose money. Alternatively, I would use a program like the RYZE.Ai artificial intelligence trading algorithm as a starting point and way to profit while learning the skills necessary to consider trading. In this vein, I have started with a basic concept, momentum. Momentum traders in the Forex market look for currency pairs moving significantly higher or lower on high volume and then jump on board to ride the momentum to a substantial profit. Forex traders who use momentum can hold their positions for a few minutes, or a few hours or throughout the day, depending on how quickly the currency pair moves and how soon the price changes direction. In a nutshell, momentum traders are looking to buy currency pairs where there is increasing volume and an increasing prices or conversely, to sell a currency pair where there is increasing volume and falling prices. So a combination of price movement and volume is needed. The theory here is that price moves are less significant when the volume is low and/or falling. For example, if you are looking at a 5 minute chart and the average volume over the past 12 periods is 1000 for simplicity’s sake and the price begins to rise but the volume falls to 800 and then 600 it would not be a good sign. It means that as the price is rising the buyers are disappearing, so the price rise will be hard to sustain or may reverse. Conversely, if the same price rise begins and the volume jumps to 1200 and then 1400 the rise is supported by many buyers and is probable to continue because more and more buyers are showing up to buy. Most trading platforms like MetaTrader 4, the one I am using have a momentum indicator built in to the program. It will be one of the standard set included. The formula is simple, it is simply the closing price of the latest bar – the closing price of the bar x periods ago. In the example below I use a 12 period momentum parameter on an hourly chart so it would be the closing price – the closing price 12 bars (hours) ago. I have captured a screenshot of a price chart of the hourly EURUSD currency pair (1 bar in chart is one hour) with a 12 period momentum indicator applied. I have highlighted a number of the buy points with red vertical lines. As you can see, the momentum indicator signals some potentially very profitable trade entry points. Note: I did not optimize the momentum indicator to see which period length worked best with the EURUSD H1 chart, I just used the default setting of 12 periods. In the real world, let’s say I wanted to see if this would be a good way to trade. I would use a built in Strategy Tester and test this momentum indicator on this currency pair with all my parameters and see the results. I could then decide if this is a system I wanted to use in actual trading or use in conjunction with another indicator or time frame. For example, I could use this hourly chart to generate signals and also use the 15 minute EURUSD chart as a confirmation. We will talk more about testing in future posts, I just wanted to introduce the concept. I have included another screenshot with the volume plotted as well. A moving average of the volume could also be useful to see if the volume is rising or falling. But this is useful because you can see the volumes typically rise to support sustained price moves and volume dissipating can portend a pause in the trend or a reversal. 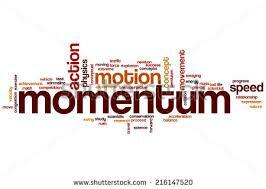 Just like with moving averages recently, a lengthy dissertation could be written on the topic of momentum. This is intended to be an introductory level explanation. After I have introduced all the basic concepts, I may delve deeper into some of these topics in future posts. If I have not been clear in my explanation or if you have any questions, please leave me a comment below or drop me an email to Xin@FXTradingIncome.com . 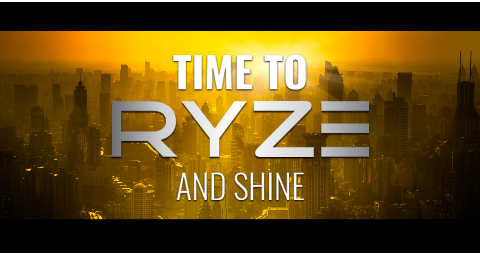 Find out how you can make money with RYZE.Ai. Also feel free to drop me an email with your phone or Skype and we can discuss questions in person. This entry was posted in Trading Education and tagged forex trading, FXTradingIncome, Hodo Global, Momentum trading, Ryze.ai, Xin Zhang on May 16, 2017 by Xin Zhang. Many readers are used to me talking about Hodo Global and how you can make money trading currencies by utilizing them. However, I am now adding a series on basic trading tools for those who are also interested in learning to trade on their own. Most people who venture out on their own lose money. So, I would use a system like the RYZE.Ai artificial intelligence trading algorithm as a starting point while learning the skills necessary to consider trading. In this vein, I have started with a basic indicator, the rSI. What is the Relative Strength Index (RSI)? The Relative Strength Index is a technical momentum indicator. Today we will cover the basics of the Relative Strength Index to make you familiar with this type of indicator. The RSI is a momentum indicator and also an oscillator that indicates overbought or oversold conditions in the market. It is important that you understand the basics in order to begin to learn trading skills, if that is your goal.. The RSI compares the magnitude of recent price rises to recent price falls to try to determine overbought and oversold market conditions. When we say a market is overbought what do we mean? Basically this means that the price has risen usually accompanied by high volume to a point where an oscillator has reached its upper bound. The most common boundaries are set at 70/30 or 80/20 for the RSI. Depending upon the currency pair or whatever you are looking at, you can see what level works the best. It is important to note that the RSI indicator and the others discussed in this series of articles does not only apply to Forex trading. These same concepts and indicators are used to trade stocks, stock indexes, futures, commodities, and options. This basic trading knowledge will serve you well whatever and wherever you trade. Below, I have a chart of the hourly EURUSD currency pair with the RSI indicator applied. Again, I have not optimized it for this currency pair, I just used the default settings. I have drawn lines in red to indicate points where you would sell and in blue to indicate buys. There are many nuances that can determine exact trade entries but this is a good basic example for you to understand the RSI oscillator concept. Click here for more on this book. What does this mean in terms of trading profit? In Forex quotes usually a Pip is the 4th place to the right of the decimal point. If you are trading a mini lot a pip would be worth $1. This is an example to teach the basics. I did not delve into stop losses or risk. In an actual trade these factors have to be considered and it is possible we would not have held the entire time, but for a basic example of the RSI, this is fine. In the trade above the entry looks to be around a price of 1.09510. When the next buy signal is generated and thus you would exit the sell, the price looks to be around 1.08070. Do the subtraction, 1.09510 – 1.08070 = 144. So, in this example the profit would be 144 pips. Making the assumption that we were trading a mini lot, a pip is worth $1. This would translate into a profit on the trade of $144. This means if you had a standard account with a broker and had the minimum $2,000 for a standard account in about 20 hours or lets say a day you increased your account by $144. If you do the math, $144/$2,000 =.072 or 7.2%. In one trade in one day a profit of 7.2% could have been realized. This is why people like to trade Forex. There are extraordinary opportunities. However, people need to be very careful as there are also risks. People who don’t know what they are doing and perhaps bought some “magic” trading system and watched a couple hours of videos (as I have seen advertised) and then are turned loose to trade are probably going to lose. You may have a few profitable trades first, but you are probably doomed to lose. I recommend a different approach with extensive training and mentoring and an earn while you learn approach. Starting with having an account linked to RYZE.ai, the fully automated, hands free program that uses an artificial intelligence algorithm to trade using strategies not usually available to small traders. This is the earn while you learn part. Then study, study, study. Learn trade setups, risk management, trade entries and exits, stop losses and profit targets. You can eventually, when comfortable, trade in a practice and eventually open a small account and trade micro lots. This is a fantastic way to learn. You get to see what happens when trades go right and what to do when they don’t work out as planned. You are not going to risk a large account or trade larger lots. Learn, learn, learn all the wile RYZE.Ai is earning for you. You make decide to also trade on your own or you may decide to leave the trading to RYZE.Ai and focus on other endeavors. I hope this RSI introduction has been educational and informative. If you have any comments or questions, please leave them in the comments section below or you can email me at Xin@FXTradingIncome.com . This entry was posted in Trading Education and tagged forex trading, FX trading, FXTradingIncome, Hodo Global, Momentum trading, Ryze.ai, Xin Zhang on May 15, 2017 by Xin Zhang.